Press her Activation Button for multiple phrases! Over 20 sayings in Original Voice! Detailed Sculpted body! Looks like a porcelain doll! Real fabric outfit with detachable cloak! Articulated head, shoulders, waist, legs and knees! 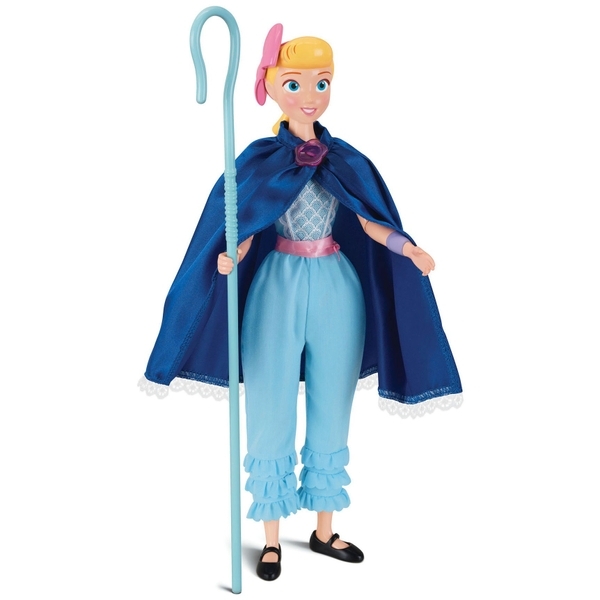 Bo Peep has changed a lot since she last saw Woody. She has ventured out into the world as an adventurer and friend of all toys in trouble. She’s now a true Action Figure! This Bo has a removable fabric cloak!